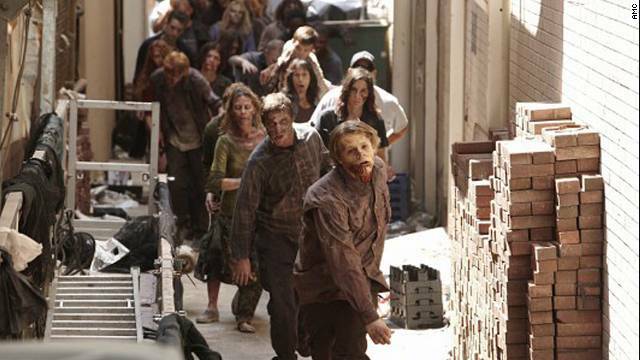 According to the Hollywood Reporter, the books behind AMC’s zombie apocalypse series “The Walking Dead” have topped New York Times best-seller lists. Robert Kirkman's series – which began in 2003 – tops the lists in both the paperback and hardcover divisions of graphic books. "No graphic novel series has ever dominated the list quite like Kirkman's ‘Walking Dead,’" writes THR. SPOILER ALERT: If you didn't see the Doctor Who Christmas special on BBCA last night, what kind of Whovian are you?!?! Because this jazz is totally bigger on the inside. My, but it was good to see the Doctor again. It must be the bow tie. 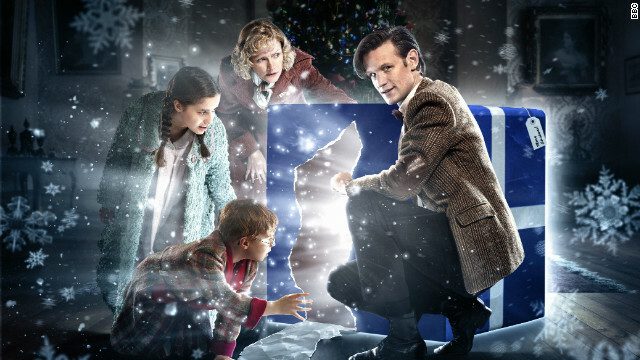 As leading man Matt Smith and producer Marcus Wilson both promised in interviews before the episode aired, “The Doctor, The Widow, and The Wardrobe” is simply effervescent with Christmas nostalgia, charm and heart. And it's definitely the most Christmas-y yet of the famed Doctor Who holiday specials. The first scene showing him barely hanging on to an exploding spaceship was oddly comforting, because it's reminiscent of one of the first times we saw the Eleventh Doctor grappling for his out-of-control TARDIS before it crash-landed in Amy Pond’s backyard. After a chance encounter in 1938 England with Madge Arwell, a mother and wife, the Doctor returns three years later to answer her Christmas wish. Madge’s husband, a pilot in the war, died trying to make it home for the holiday, and she has yet to tell her children. A teaser clip for Ridley Scott's "Prometheus" has been flying about the Web, drumming up even more anticipation for the movie's summer release. While this sci-fi thriller may or may not be a prequel to Scott's 1979 "Alien," the Los Angeles Times reports that it is expected to contain some of "Alien's" "original DNA." Entertainment Weekly has helpfully broken down those traits, including the way the titles appear in clips for "Prometheus" and "Alien." The just-over-a-minute long trailer doesn't tell us much, relying on quick cuts, a pleading apology and a horrified scream to get its point across. We do learn that the story follows a crew of explorers who, as the movie's tagline tells us, went looking for the beginning of mankind and stumbled upon something that "could be our end."